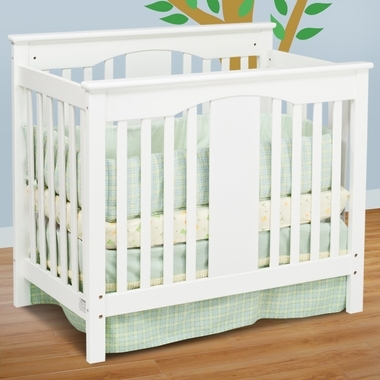 Add cheer to your baby's nursery with the Antique White Annabelle Mini Crib. This crib has a contemporary style that will be admired and it was built to last, made of sturdy hardwood. It's also loved by parents because of its convertible qualities that allow you to convert it from crib to twin bed with the use of an optional converstion rail kit. Making this a bed that your child will use all the way through to adulthood. This crib may be smaller in size, but it's just as safe and beautiful as a standard size crib and is ideal for smaller nurseries, grandma's house or to be used in day cares.